A deliciously romantic coming together of Gulrez “Gullu” Qadir (Parineeti Chopra) a Hyderabadi shoe-sales girl disillusioned with love because of her encounters with dowry-seeking men; and Tariq “Taru” Haidar (Aditya Roy Kapoor) a Lucknawi cook who can charm anybody with the aroma and flavours of his biryani and kebabs. In the clash of diametrically opposite but equally spicy cultures of Hyderabad and Lucknow, Gullu and Taru arrive at a “tuning-setting”, rewrite traditional recipes of love, crush old-fashioned world-view and make their own masaledaar albeli rangreli pichchar… Daawat-e-Ishq! 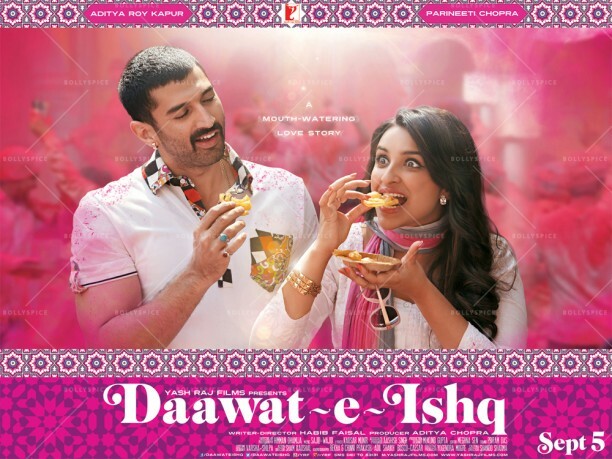 Daawat-e-Ishq celebrates its worldwide release on 5th September 2014.